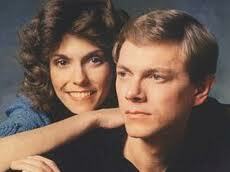 We’ve Only Just Begun is a popular love song made popular by The Carpenters. However, it had beginnings as a bank commercial. The song was written by Roger Nichols and Paul Williams. The song was recorded by a friend of Nichols and made it’s debut as a wedding themed commercial for Crocker National Bank in California. Paul Williams said in an interview: “‘It had all the romantic beginnings of a bank commercial’ is the way I describe it. There was actually a wonderful writer named Tony Asher who wrote for this ad agency, and he’d had a skiing accident and he broke his arm, so he couldn’t write or play the piano or whatever. So he suggested Roger Nichols and I as replacements to write this ad. The ad agency called us and said, “Look, we’re going to show a young couple getting married, driving off into the sunset, and it’s going to say, ‘You’ve got a long way to go, we’d like to help you get there to the Crocker Bank. '” And I went, Okay, what rhymes with Crocker? Crocker what? And they said very specifically, “No we don’t want a jingle.” What they asked for is what we would today call a music video. It was going to show a young couple getting married, driving off into the sunset. After the ceremony, the first kiss and all. So Roger and I wrote the song that would play over that. Richard Carpenter saw the commercial and felt that it would be a great vehicle for his sister. 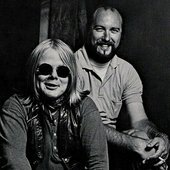 The Carpenter‘s recorded the song for their third album Close to You in 1970. The song became both Karen and Richard’s signature song. Williams went on to write more hits for the Carpenters, Barbra Striesand, Carole King and Kermit the Frog. In 1998, the recording was inducted into the Grammy Hall of Fame for recordings “of lasting quality or historical significance”. The song is also a popular wedding song. The song has been recorded my many other artists such as Barry Manilow and Andy Williams, but The Carpenter’s version remains the most well known version.